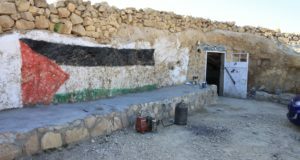 On August 12th, at approximately 9.45 a.m., near the South Hebron hills area village of at-Tuwani, Israeli Police beat a Palestinian and confiscated his tractor. 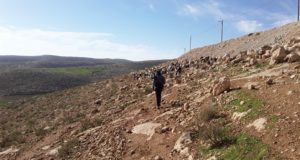 The 20-year-old man was driving his tractor, carrying a water tank, from the village of at-Tuwani to Yatta City when the Israeli police stopped him. Palestinian witnesses reported that policemen beat him and sprayed pepper spray into his eyes. When international volunteers and medical relief arrived on the scene, they witnessed the man lying on the ground and shouting from the pain as two policemen surrounded him. At 10.00 a.m. the Palestinian was accompanied to the hospital by Palestinian medical relief. After that, the police confiscated the tractor, leaving the water tank in the middle of the road. 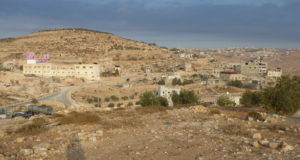 The police refused to give any explanation about the incident and prohibited the Palestinian man from speaking with his lawyer.